A widow, or the widower if the husband, is the only person able to demand a share in the deceased spouse’s estate despite a will leaving the widow little or nothing. We refer to it as the Spousal Election. The widow can either elect to take what is given under the husband’s will, or demand her rights under Connecticut General Statutes Section 45a-436 – Succession upon death of spouse. Statutory share. 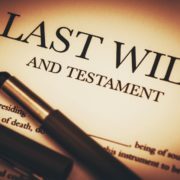 The statutory share is the widow’s right to carve out of the husband’s probate estate a third of its net value, that third set aside in a trust, and the income from that trust paid to the widow for the rest of her life. If the net estate, after all expenses, is $300,000, the spousal election portion would be $100,000. The widow can demand the share of $100,000 be set aside. The executor must create a trust of that $100,000 with its net income payable to the widow until her death. A choice of the executor is to buy out the widow by paying the life use value of the income payments if paid up front. A formula for determining that value is based on the widow’s life expectancy per actuarial charts. One such chart used by the State of Connecticut’s Department of Social Services with a 70-year-old widow gives the following result: $100,000 X 5% X the age factor of 3.4819 = $17,409.50. 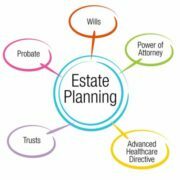 Therefore, if the executor wanted to buy out the widow’s rights for payments from the trust value of $100,000, it would cost the estate $17,409.50. Legislators have considered giving the widow, or widower if the husband is the survivor, a larger portion of the deceased’s estate. But there has not been a change in the formula for many years. By the way, no one else is given such an election against a will, not even a child cut out of a will of a parent. Other places are more generous, for example Canada which gives a child a modest right to an inheritance in spite of the parent’s will. The term “life use” is defined in Black’s Law Dictionary includes the use by someone who, until death, is entitled to use property. An example of a “life use” often appears in the prenuptial agreements of two people marrying later in life. A husband owns a home created during his first marriage, and he wants to leave it someday to his own children. His first wife has died. He meets another woman and wants to marry her. If they marry, live in his home, and he dies first with the house left to his children, the wife may be put on the street by those children. To insure the second wife will have a home when he dies first, he provides for her a life use in the home. She can stay in the home for as long as she lives. Even her husband’s hate-filled children cannot put her on the street. A common recent example of a “life use” is in Medicaid Title XIX planning. For example, a widow has run low on both her health and her finances. She cannot live alone any longer in her own home. Her son and daughter-in-law offer her an in-law apartment in the home they plan to buy. If the widow helps them with the down-payment, they can afford this big home. The widow’s lawyer advises her to reduce the plan to writing, both for her protection and that of her son and daughter-in-law. If she simply gifts the couple the down payment, the gift will be counted against her someday if she needs to apply for Medicaid to help her pay for a long-term stay in a skilled nursing facility. And the State could go after the young couple for return of the gift. But if the widow’s contribution to the new home is part of a written contract, and she gets a life use in the in-law apartment of the new home, then the down payment will not be deemed a gift and will allow her someday to have that Medicaid help if she requires a skilled nursing facility. Her cash for the down payment buys her a place to live with family. Requirements for this life use to work are complex. Other examples abound. A dying brother can devise in his will a life use to his disabled sister in his home upon his death. The sister can have the life use and still be eligible for government assistance. Upon her death, the brother’s will may direct the home be given to others such as his children. Also, a friend could create a trust to pay income-only from a stock portfolio to another person down on their luck. Upon the beneficiary’s death, the principal of the portfolio could be distributed to charity, or the friend’s children, or back to the first friend. 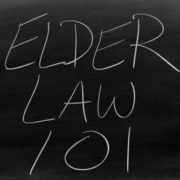 https://www.malcolmbarlow.com/wp-content/uploads/2017/12/elderlaw101.jpg 334 500 malcolmbarlow https://www.malcolmbarlow.com/wp-content/uploads/2017/10/logo-1-300x96.png malcolmbarlow2017-12-11 13:41:302017-12-11 14:23:56What is Life Use? What is required by law in order to collect fiduciary fees? Question: If I am an executor (or administrator, conservator, trustee, guardian or any other fiduciary in charge of assets), may I get paid for my work? And how much can I request? Other relevant and material circumstances. A simple way to appreciate Hayward and Rule 39.2 is to ask yourself if you have added value to the matter put in your charge. Have you added value? For example, consider the estate of a deceased uncle which consisted of 10 stocks, several of them in foreign corporations, along with a mortgage in default on a grocery store, plus miscellaneous bank accounts and other assets. You work hard to sort out all the aspects of all these assets. You collect a good amount of them into your hands as the executor of the uncle’s will. You have protected them. You may even have increased their values. You provide timely reports to the Court and, upon Court approval, you distribute them to the will’s beneficiaries. Clearly, you have added value and should be compensated for the results of your labors. A bald and bare statement of “time required”, section 8 above, without explanation is not enough to convince a judge to approve your invoice statement. The judge must see the other eight (8) sections reflected somehow. It may not matter that you spent 100 hours on an estate if you have taken forever to process it, and lost half of it in poor decisions. All that said, how much should you charge per hour for a job well done? Courts have approved fees of $25/hour for a modest estate even if successfully managed. On the other hand, Courts have approved the fees of laymen executors with rates as high as $150/hour for an estate over $2 million with all the above points covered. Probate judges have told me they use a rough yardstick to measure whether a fiduciary’s invoice is fair and reasonable. If the invoices of the executor, the lawyer and the accountant total less than five (5%) percent of the gross taxable estate, then the judges will approve of them, barring objections from the estate’s beneficiary’s. For example, total fees under $5,000 for an estate of $100,000 will likely be approved. And total fees under $50,000 for an estate of $1 million will likely be approved. When the fees exceed the five (5%) percent test, judges want to see clear statements as to why. Your task statement covering the above nine (9) factors should make it clear to the judge. If the judge is not satisfied, your fee will be cut to what the judge deems fair under Hayward and Rule 39.2. Tip: From the time you assume your duties as a fiduciary, keep clear records of what you do and how long it took you. Do your work on paper, and save all of it. Do not pay cash. Write checks. Your records will be worth gold to you at the end of the process. https://www.malcolmbarlow.com/wp-content/uploads/2017/12/estateplanning.jpg 500 500 malcolmbarlow https://www.malcolmbarlow.com/wp-content/uploads/2017/10/logo-1-300x96.png malcolmbarlow2017-12-11 13:38:532017-12-11 15:15:30What is required by law in order to collect fiduciary fees? How do I chose a real estate agent? What issues should I consider? We can arrange for weekend and early-evening appointments if needed.